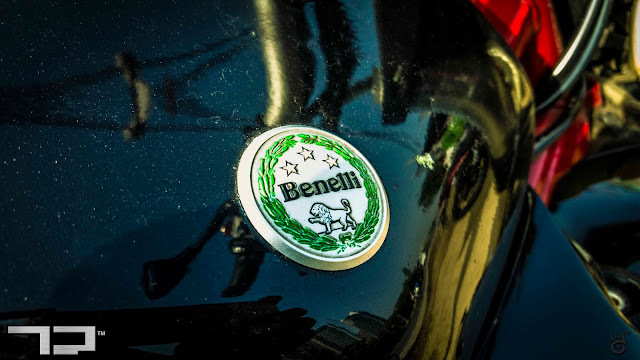 If you are on the lookout of a decently fast 300 cc naked, with some really quirky features in it's class and with orgasmic levels of aural notes, ladies and gentlemen, the Benelli TNT 300, might just be the motorcycle you are looking for. So, what you are about to read is our quick rendezvous with this fun little motorcycle which amazed us and left us wanting in equal parts. The moment you thumb the starter, you are greeted with a deep and throaty engine which literally "bangs" to life. With the tach needle hovering around the 1500 rpm mark at idle, you get all the indications that this is going to be a busy engine. Pull in the otherwise heavy clutch, and slot it into the first gear and the rpm drops down to around the 1200 rpm mark. Easing the clutch makes you realize that what seemed as a busy and eager engine, is not that eager after all. It wants to take things with a hint of maturity rather than pounce on the tarmac and leave a space time dilation behind. The hard clutch makes quick shifts a bit of an issue, but the gear shifts are slotted well. 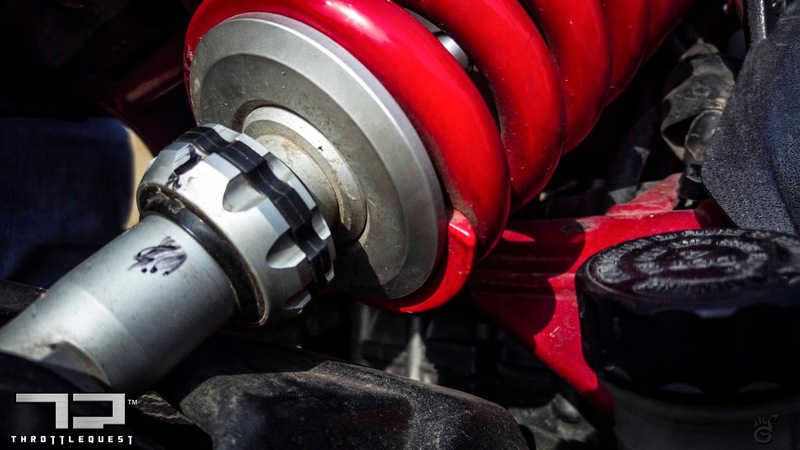 There were not mis-shifts, no gear jams - just sure, slotted and progressive gear shifts. As the engine builds on the revs, you are greeted with a solid mid-range grunt. 4000 to 7500 rpms is the best place to be on this bike, when you are just on the thick end of the torque curve and you are just surfing through the torque wave on the offer here. The engine in the mid-range feels nice and smooth and by the time you are in the 7500 rpm mark, you are well into 6th gear triple digit speeds. The engine can remain in this range for eons and not complain. At around 8000 rpms is when then top-end kicks in and the engine suddenly wakes up. All that calm and poise in the mid range gives way for a grunty and more engaging character which makes it's presence felt with some significant amount of vibes creeping through to the handlebar and the foot pegs. It was almost surprising that for a small capacity engine like this one, how radical the top end has been configured. Finally, it would be a blasphemy not to mention about the engine note when we are talking so much about the engine. 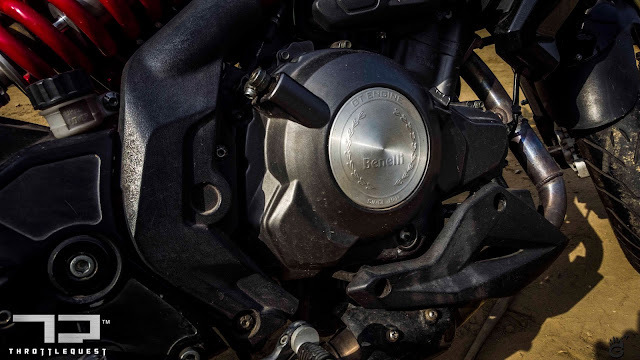 The Benelli TNT 300 offers the best sounding engine on the planet for a twin cylinder engine... Period!! I mean seriously how the heck did they manage to make a twin cylinder 300 cc engine sound like an inline four 600!! The bike that we were riding had an IXIL slip-on slapped onto it and that took the aural experience to whole new level, may be six levels higher. We were having goose bumps listening to the exhaust note. The Ride and Handling of the TNT 300 largely depends on what the rider is trying to do with the motorcycle. If the intention is to go through the proceedings of the day with maturity and poise, well, the TNT 300 delivers emphatically on the Ride and Handling department, but if your intention is to have a naughtier flair to your ride, well, it might just not be there. 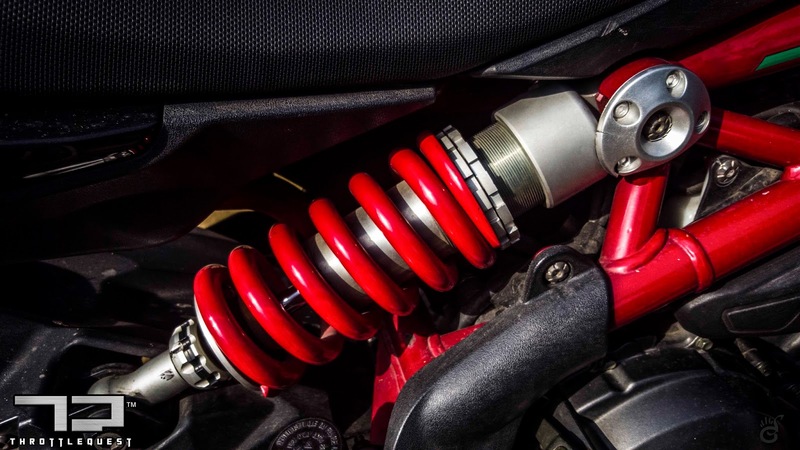 What we definitely felt about the motorcycle is that even though it's a very flickable motorcycle, it's not one of those fast handlers even though it's very very sure footed thanks to it's 120/70 17 section rubber up front and 160/60 17 rubber down rear. What plays spoil sports to the lateral handling to a very large extent is it's 196 kg kerb weight which is way too much for a small capacity motorcycle, considering the Kawasaki Ninja 300 tips the scale at 172 kg with all the fairing bits. However thanks to the meaty mid range, once on the move, you don't feel that weight while negotiating traffic and moving through tight nooks and crannies. 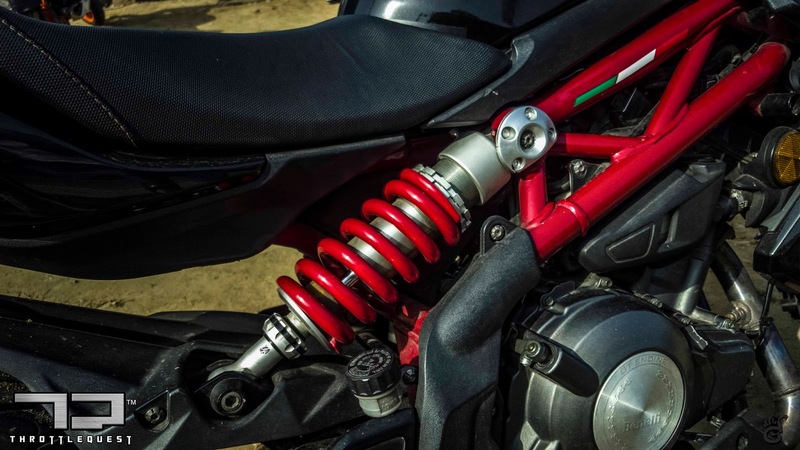 The front 41 mm USD suspension and the rear mono-shock do an amazing job of masking the tarmac undulations, but they are way too soft for high spirited riding, as fast turnings don't inspire confidence from the front end and you end up relying heavily on throttle modulation and praying the chunky front rubber would stick, which it does in most case. However take the long swooping corners and the story is entirely different. Taken slowly, the TNT 300 just sticks to the corners and remains amazingly comfortable staying there. Small nifty touches like remote adjustable rear suspension and height adjustments using the rear suspension do provide option to setup the bike as per your riding needs, but over all, the ride quality is on the softer side more suitable to day to day city commute, rather than high spirited blasts. 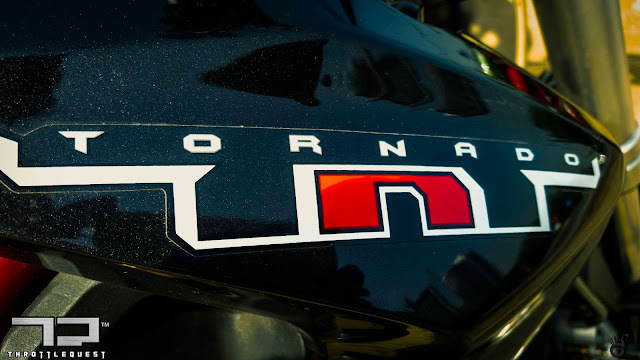 The front brakes offer a good feedback and is progressive, however the rear brake was almost non-existent and we ended up relying on front and engine braking (which is amazing on the TNT 300) mostly, and help to slow down the motorcycle to required level very progressively. At the same time, the complete absence of ABS (not available even as an option), is seriously a let down. The motorcycle is overall well put together, and the paint finish quality is also very good and gives you a very premium feel. However the quality of the plastics leave you expecting for a bit more and so does the uneven panel gaps which just stare at you. Having said that I would also say that I am mostly nitpicking here and these bit are somethings that I would personally like to be sorted out, but from a functionality stand point, they do the job that they are supposed to. 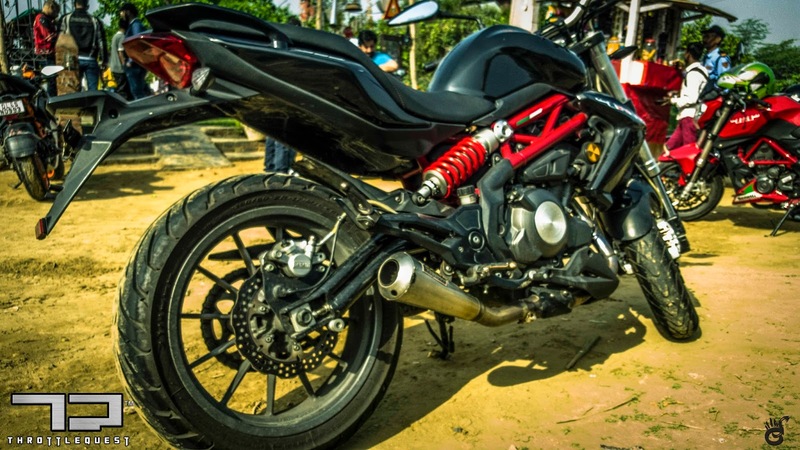 The Benelli Tornado TNT 300 is a good motorcycle if the rider dials his expectations accordingly. It's a very easy motorcycle to live with, and ticks a lot of right check boxes for a delightful ownership (and the exhaust note serves as that extra brownie point for ownership). 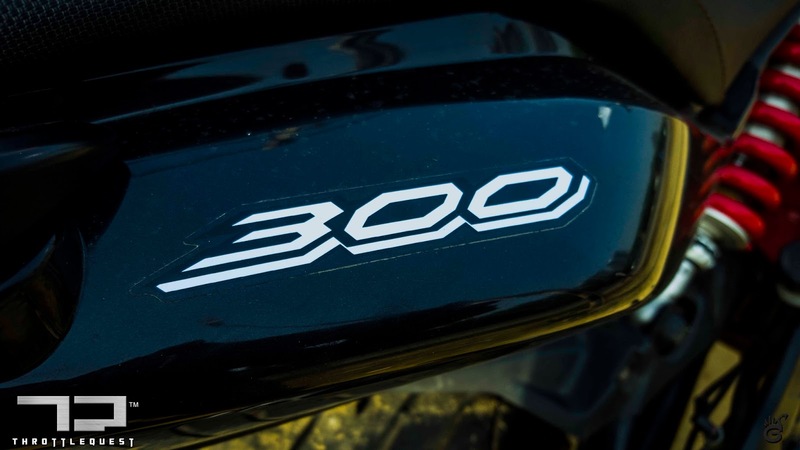 At INR 3.72 lacs on road Delhi, the TNT 300 is a good value for money motorcycle, it misses on some aspects and provides some features which segment only and tries to cover the grounds. DSK is doing everything to make sure that it provides all the support required to it's customers, and with 4 new launches announced during the 2016 Auto Expo, DSK is serious about it's business. We had a very short duration with the motorcycle, and from that short G2G, we are already eager to rendezvous with the TNT 300 one more time and get to know and understand the motorcycle in detail. Looking forward to the next meeting! !